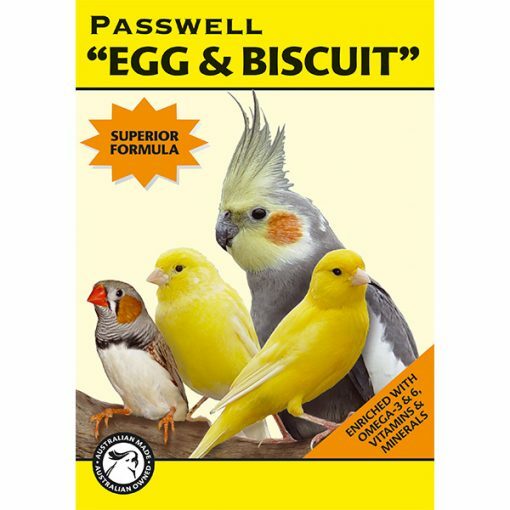 Passwell Egg & Biscuit contains high quality protein, polyunsaturated fats and added vitamins and minerals; providing all the nutrients required by breeding birds and their chicks. 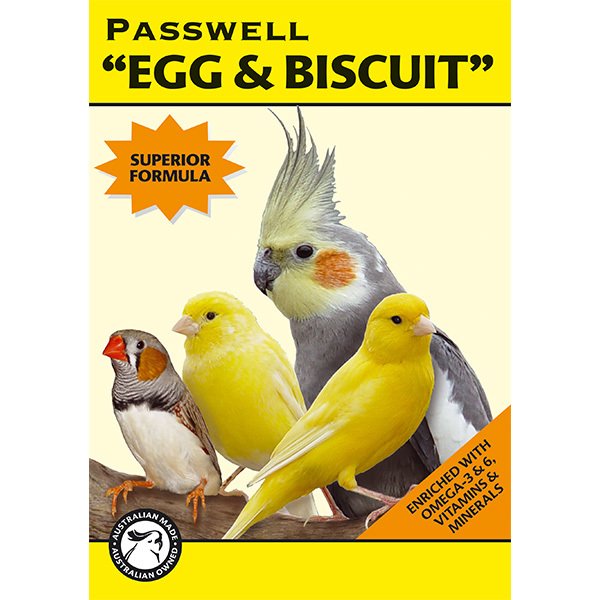 Passwell Egg & Biscuit is a nutritionally balanced conditioning supplement for breeding birds. 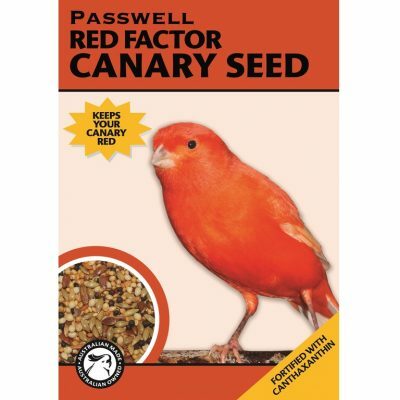 Suitable for parrots, finches, doves, and canaries. 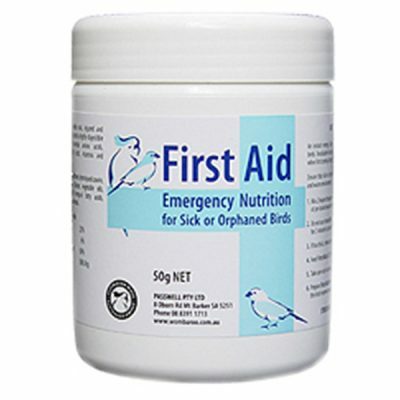 Provides essential nutrients to breeding birds for improved egg quality and chick health. 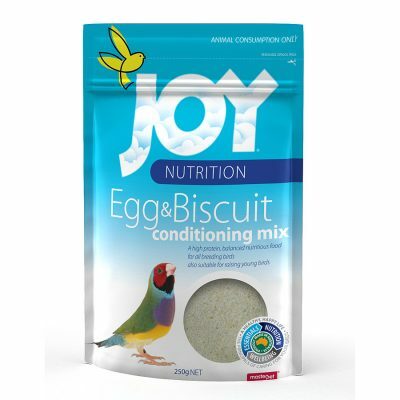 Contains whole egg, high quality proteins and enriched with omega-3&6, vitamins & minerals. 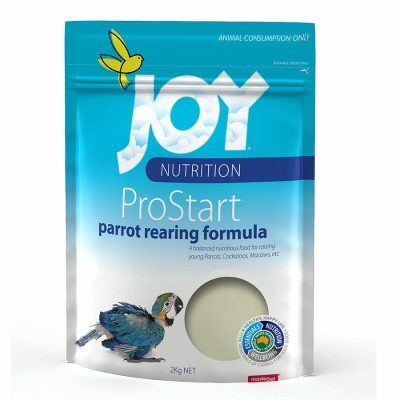 Scientifically formulated diet provides superior nutrition to most commercial or home-made recipes. Passwell Egg & Biscuit can be fed as either a moist crumble or mixed with soaked seed, greens, or vegetables. Mix 20g of Passwell Egg & Biscuit (2 level tablespoons) with 10ml (1 tablespoon) of warm water. Slowly add the water to the powder while mixing to form a moist crumbly mix. Do not make into a paste.